Field Photography recently collaborated with fashion designer Thabo Makhetha to capture new images of her renowned Kobo Collection for her online and social platforms. Makhetha studied fashion design at the Nelson Mandela Metropolitan University at the same time as I was doing my B.tech Photography. We worked together then, and I am honoured that we can still work together now. It has been such a pleasure to see her rise in the fashion industry. 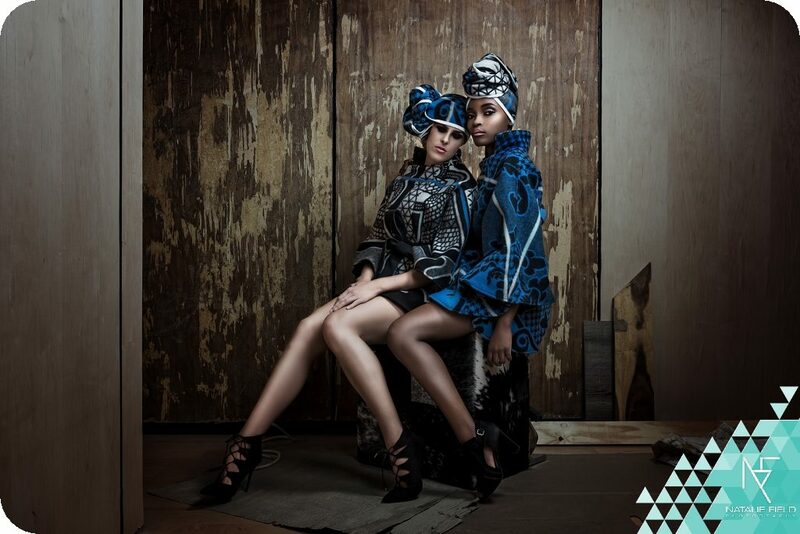 Her label, Thabo Makhetha Designs, is an African luxury women’s wear brand rooted in heritage & culture. The brand is best known for its pret-a-porter range that re-invented traditional African wear to introduce it as high fashion to the contemporary market. 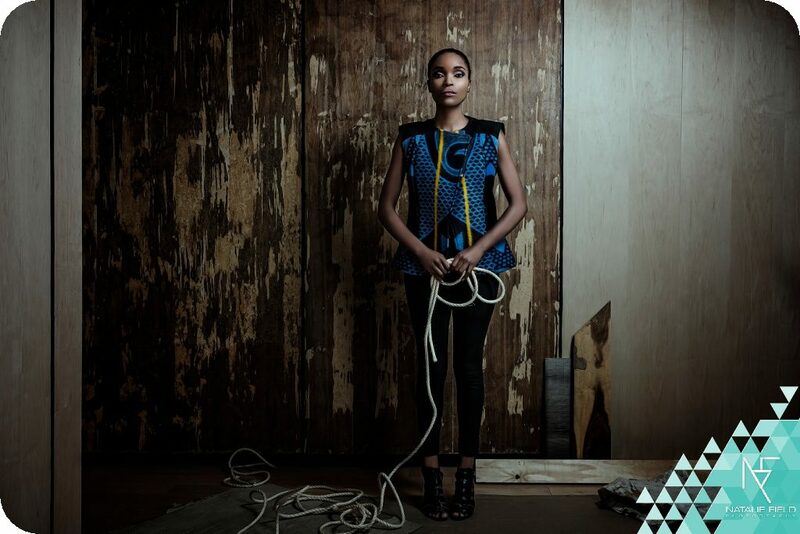 Makhetha first introduced the “Kobo Ea Bohali” collection to South Africa at the Design Indaba in 2013. This collection is inspired by Basotho blankets: colourful, patterned blankets traditionally worn by the Sotho people of Southern Africa. It soon received international attention. 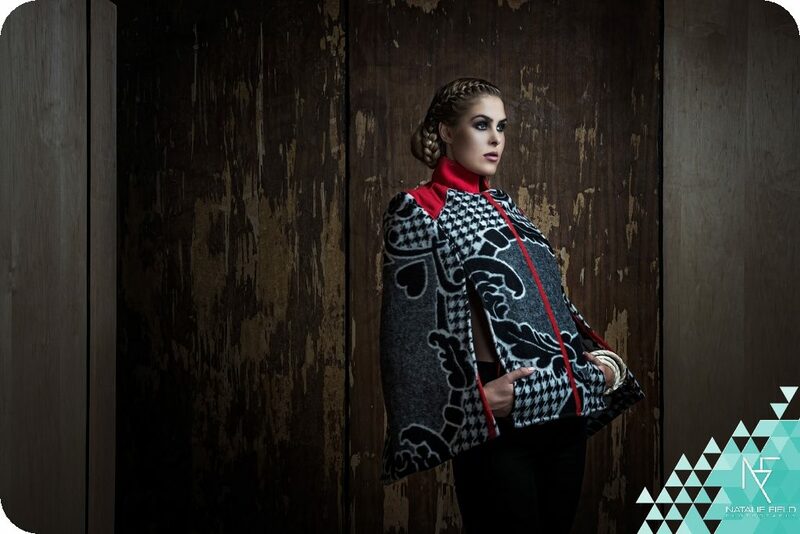 And in 2014 Makhetha had an opportunity to showcase the collection to an audience at Vancouver Fashion Week in Canada. Consisting of predominantly coats and jackets, the designer continues to build on the range, which now also features head scarfs. Makhetha had arranged for us to shoot at a high end home undergoing refurbishment in Bryanston, Johannesburg. Although most of the house had a new clean and light look, I found one room still under construction and fell in love with the textures. The space also offered “props” like the cardboard and wooden planks, which went perfectly with the random rope I had brought with for some reason. I liked the idea of “building new narratives”. A little lighting goes a long way. To add to the mood of the scene I set up two Photon lights, with a beauty dish as my key light and a strip soft-box as a fill to capture the details of the garments. I also played with a new technique, using multiple exposures to capture each image with and without flash. Combined into a single shot in camera, the effect has a matte finish. I used my trusty Vanguard Abeo Pro tripod to create consistently sharp results. Makhetha’s passion for artistic work inspired by and made in Africa extends further than her own designs. She is also the founder of the “Thabo Makhetha Collective”, a concept store featuring exciting emerging brands from the African continent. Located at the 15 on Orange Hotel in Cape Town, the store is the exclusive destination for local luxury fashion, art and décor. You can find the Kobo collection here, as well as her online store. And as the days begin to shorten; I cannot imagine a warmer, more beautiful accent piece to brighten up a winter wardrobe.